The library at Newnham was first built thanks to a gift from Mr and Mrs Yates Thompson. Henry Yates Thompson was a close friend of the architect Basil Champneys and Henry Sidgwick, a founding member of the college. 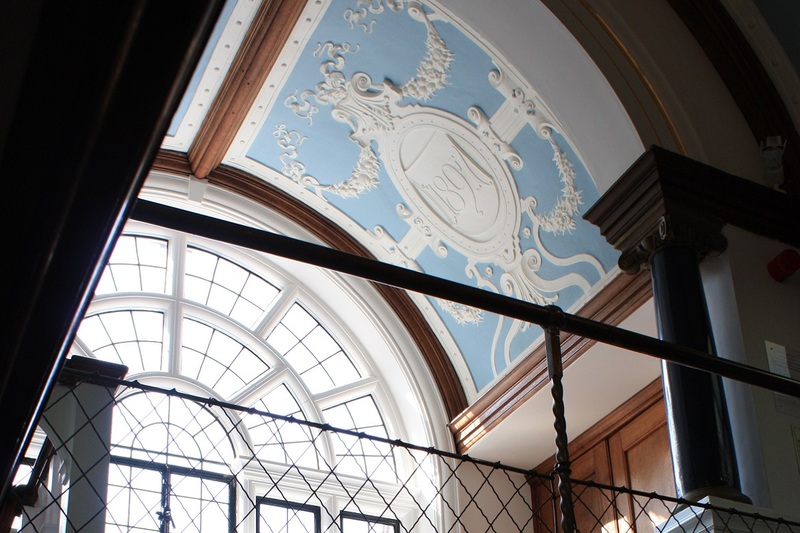 The Yates Thompson Library, with its blue barrel vault and ornamented ceiling, was designed by Champneys and is a Grade II* listed building. 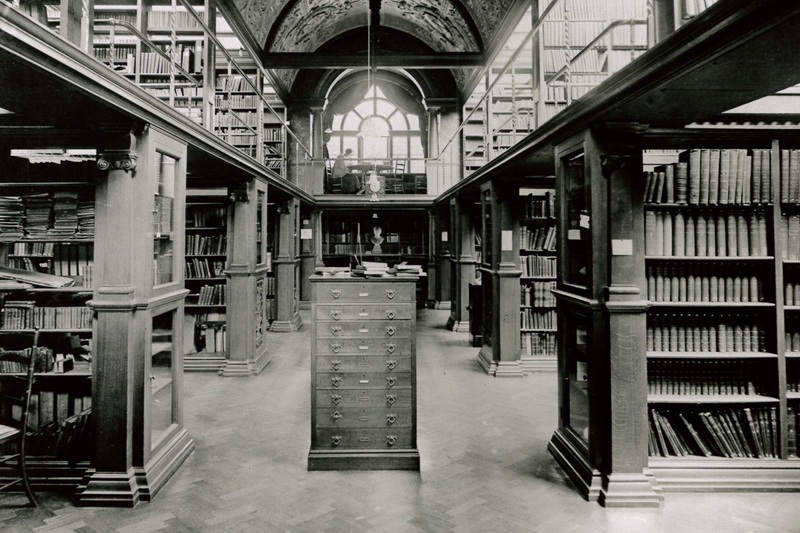 The library began life as just one room with eight shelving bays on each floor, but was expanded ten years later in 1907 to increase its capacity. The extension was designed by Champneys in identical style, blending seamlessly into the original building. 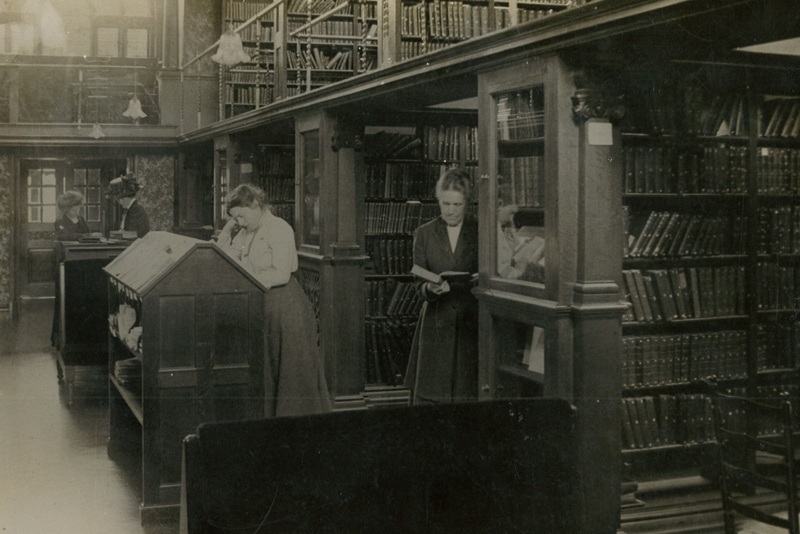 Katharine Stephen, pictured in this photo, was appointed Librarian in 1888. The ceiling of the Yates Thompson Library is beautifully decorated. Thirteen of the ceiling panels display printers’ marks. 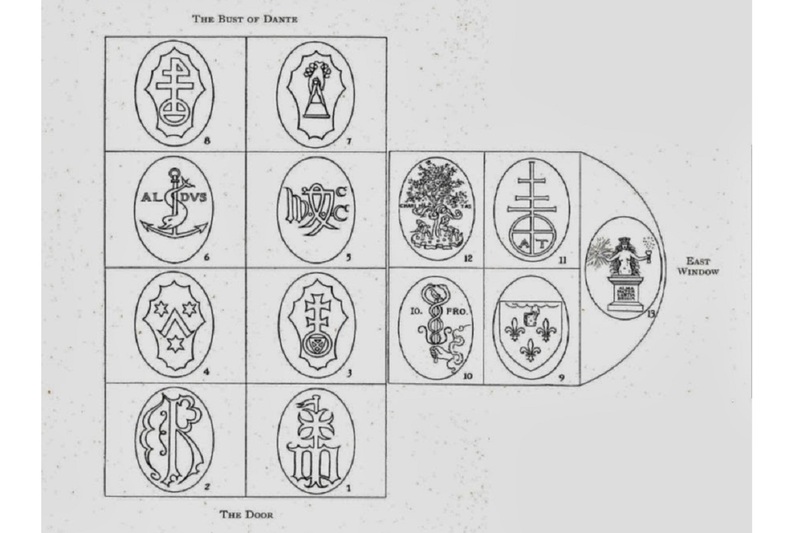 These are emblems used by early European printers. As a leading collector of manuscripts and early printed books, Henry Yates Thompson chose the emblems of printers he held in particular esteem. Henry Yates Thompson produced a pamphlet in 1908 – coinciding with the opening of the library’s extension – which details the printers and the history of their reputation. In 2004, the library expanded into a new building designed by John Miller and Partners with echoes of the original Yates Thompson library’s architecture. The two are linked and the new library also connects to the 1982 Katharine Stephen Room, designed by van Heyningen and Haward. 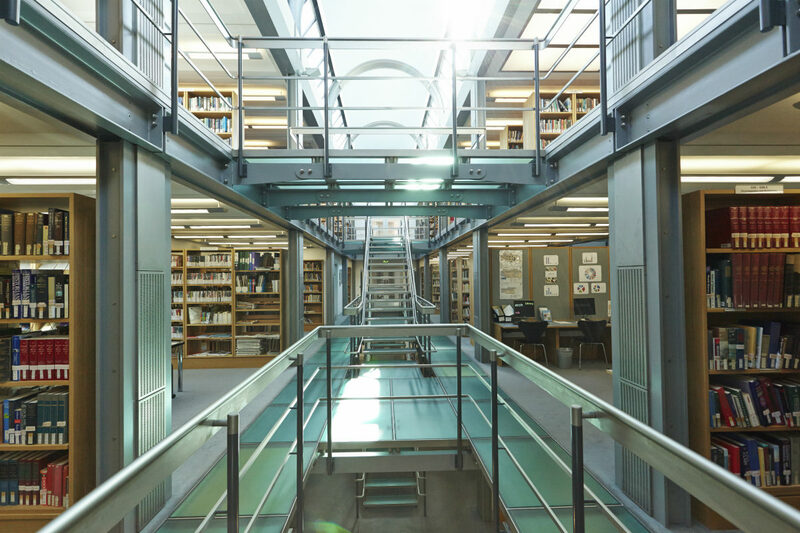 Find out more about the history of Newnham and take a virtual tour of both the Grade II* listed Victorian Yates Thompson Library and the new Horner Markwick Library. Contact the Archivist to find out more about the College Archives.